Hello! I participated in the gift-giving last year, and am returning to share winter joy! I am requesting a mount skin unlock. Hopefully I can find someone to donate to in return! you made a request in the thread on the old forums for the Firebringer. please re-read the Administrator note at the start of the thread and refrain from posting a second request. Another note as a kind reminder. Please do not post a request unless you have met the minimum requirements that will allow you to edit your post after the time restriction. To do so you need at least 5 forum posts and I think 72 hours from the first time you logged in to the forum. I mention this because I see several posts where people got what they asked for but can't edit their post because they don't have at least 5 posts. This is important because if you can't edit your post to state you received what you asked for others might continue to send gifts even though your request was fulfilled. A key part of this thread is making sure you update your original post when you receive what you have asked for. Personally, I think if you are going to ask for gifts you should be at least somewhat active in the forum community anyway, at least enough to have 5 posts, but that's just me. Lastly for those of you that have already made requests and can't edit, please do something to meet the 5 post requirement so you can update your OP in this thread. There are a lot of good threads on this forum where you can do so. Find some threads where you can give some advice or feedback. Maybe look in the community creations forum, there is some nice art work there you can give feedback on. Really anything, just participate at least a bit more than just asking for something. Thanks. I think I can edit my post now if I already got my wish. This isn't a request just a question. I've helped fulfill some of these requests but its mostly the newer ones. I would like to start looking at the older requests but afraid they might have been fulfilled. Is it safe to say that the older requests are still needed? I can only vouch for myself, but some of the older request are still needed. Maybe you can look for the unedited and don't have that helpful tag then message them in game first? If they only have 1 star it is hard to tell because one star means they have not made enough forum posts (5) to edit after the time restriction. That could mean maybe their request was fulfilled later but they could not edit their post to say so or maybe it was never fulfilled. That is the reality of the situation and a downside of the current forum restrictions. Those with not enough posts just can't edit past the time restriction until they post at least 5 times. So in some cases it isn't safe to assume the request is still needed. Maybe if it is question you can message them in game and ask. 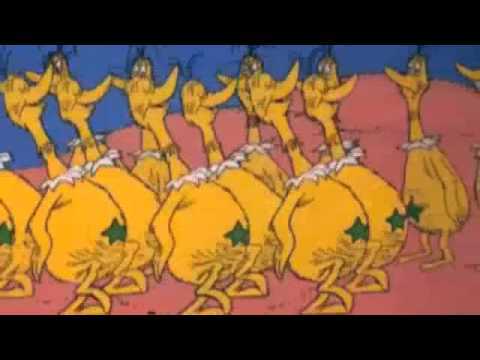 Darn it, I feel like I'm talking about Star Bellied Sneetches here and I don't like that one bit. If it were up to me there would be no stars, that would be better I admit. Somewhere, there is a link to the archived forum, if that is what was meant; if not, ignore. I always play niche/fun/gimmicky builds, and always wipe multiple times during story missions, I'd love to not have to worry about that and keep powering through the story/fractals without having to exit and have to hit up repairs every few minutes. Pretty much been my lifetime goal since it's come out, but I can never get anywhere near that amount of gold. Wanted to make a charr-warrior for a long time by now, but it occured that none of those standart faces really fits the character I was imagining in my mind. Anyways, I'm limited on play-time, while already spent all I had (almost) to level-up crafting professions, so would really appreciate the help. Anyhoo, have a nice day everyone ! EDIT: Got it myself already, so no worries. i can’t afford the dynamics exo-suit outfit as of right now, and I have a fear that it’s going to leave the store soon. It would be amazing to have someone do this for me, and I’d most DEFINETLY pay it forward. EDIT: I got some extra money this week, and bought it. Instead, I’m going to ask for some plain old gold, as I’ve been trying to get the commander tag. anything helps. If I could get a Mount Adoption License or more (want the fire griffon skin badly)for my birthday (19th November) I'd be extremely grateful! One thing has ever eluded me... I play a necro, necro in GW1, necro in GW2. But unfortunately due to the passing of my grandmother when the item was more readily available, I was never able to get the Scythe Staff Skin. I probably, years now, keep rolling the dice on chests whenever I get a key, hoping for that wardrobe unlock, but to no avail. If any kind soul (pun intended) could help me achieve this feat, I will post pictures of her (necro) an sing hymns in your honor and be forever grateful. Have you tried Deathwish? It's a decent alternative for the time being, in my opinion. This community continues to amaze me every day. I've been saving up gold for a while now to try and buy the items required for the Griffon, but due to uni exams my playtime has been limited and it is a very slow process. Any help would be hugely appreciated. Please respect the thread rules, one request. You already made a request on Oct 26th. There seems to be a disturbing number of violations against the Rules of Participation in this Thread. As a result, I Edited the Post to Include the already existing Important Rules as Loud and Clear as could be. Located at the very Bottom of the 1th Post. Just to be sure I will leave them here as well. I apologize to the OP in advance. This isn't a request post. I'm just trying to help someone else with their request. Sidetrack, I want to help by providing information towards achieving your goal. First, context is everything. I don't know your gear setup, current funds, or play experience. I'm going to assume that your end goal is being able to participate in level 40 fractals. I'm also going to assume that you don't have typos in your post (ie you actually want to play in T4 fractals instead of the level 40 fractal). According to the wiki, you need 43 AR minimum for fractal level 40. If that it truly your goal, a much more easily obtainable way to achieve 43 AR is through multiple +7/+9 infusions. You can get ascended trinkets through multiple ways. If you are able to save up the gold, you can even buy the infusions straight from the trading post. Here is an Ascended Gearing Guide to help get you started. Currently, a +7 infusion is less than 2 gold on the TP. That means, you could buy one once per day if you simply do your dailies. Just as an example; 2 attuned ascended rings and 2 ascended accessories will give you 6 total AR slots. If you put the cheap +7 infusions in all of the slots, it will give you 42 AR, which is 1 less than you need for lvl 40 fractals. This is a much easier and cheaper way than a single +17 infusion, which can cost over 2000 gold. EDIT: A very kind person sent a few mystic coins my way, so consider this request filled. Thank you. I have been slowly aiming to get some mystic coins for my guild and myself for the last few weeks and could use some help if any would be so generous. I am saving mystic coins for Objective Aura 8 (needs 100) to finish off the main stuff I want in my War Room as well as slowly working towards Winter’s Presence Shoulders achievement finally finishing it this year (needs 50). While I'm not on a time frame really for these things I realized how much longer it would take to just get the coins besides everything else and figured I'd ask for help. I've come across this thread and find it's a very nice act from the community. My request is The Crystalline Dragon Wings backpack and glider combo Since I've seen them for the first time I fell in Love but no money to convert to gems because I'm working on griffon. I've hear they will be on sale for 20% less 25-26 of November, so If anyone wants to be so kind I would appreciate! Arenanet instagram. They’re giving away a few free things as well, from transmutation charges to mini tickets. I hate to ask this of anyone, but I really would love to have the infinite unbound magic gather tools pack. I know it is rather pricey, but it always seems to be put into the gem store when I'm not able to get gems of my own. If any kind soul would see fit to gift it, I'd be forever grateful. Thank you in advance. Update: this request was fulfilled by a guildmate. So, my broken keyboard, complimented by the realities of being a worthless peasant, has severely impeded my ability to make gold in any meaningful ammounts, making me an in-game peasant as well, effectively transforming me into something of an omni-peasant. So, basically, I had about four things on my mind I currently would love to aquire. So I'd like to try my luck becomming a worthless beggar as well. A mount adoption license (This one got to be the more desired item for me): Yeah, predatory practices, unhealthy gambling, so on and so forth... And honestly, I'm really not an addict, nor am I into gambling by any stretch of imagination. But in the relatively recent post, featuring MO's response concerning the licenses, we were given a subtle hint that non-flashy skins make very little money, and therefore making them is basically not worth their effort. Now, as a dedicated fashion warrior, the very strong desire for customiation, personalization and making my characters authentic and unique, along with the realization that there is pretty much no hope to get any subtle skins in the future outside of gambling, have made me give in to the vile RNG. Another license would give me another chance to get one of the few mount breeds I desire, like Clouded Corvus Gryphon or Striped Trihorn Raptor. Bloody Red Dye: A very good dye, with the subtlety of the dark shade complimenting the well saturated red. I've been eyeing that dye for quite a while now. But I could never really bring myself to buy it. Mostly because before it got to the current price, it had a tendency to cost the ammounts of gold I deemed rather crushing for my average income-to-spending ratio. At least for a single dye. Murky Grey Dye: I'd very much rather prioritize bloody red, but in case it's prices bloat out of proportion, murky grey with it's slightly charred brownish texture is an awesome dye I've been looking to use to spice up my warrior alt's classy attire. Finally, Two superior sigils of concentration (I'd say this one is the lowest priority due to circumstances and inability to currently utilize them in my tests, but I'd still be happy if I managed to get my hands on those for the future): Before my keyboard situation, I was semi-actively working on trying to come up with a viable (and perhaps even borderline optimal) support firebrand build for raids. Numerous theorycrafts have led me to the conclusion that I need to have that 33% extra boon duration to optimize the stats at the cost of freed up concentration and push the build's boon support further. EDIT: I bought myself the murky grey dye. I'm assuming that technically qualifies as fulfilled. Bloody Red Dye: A very good dye, with the subtlety of the dark shade complimenting the well saturated red. I've been eyeing that dye for quite a while now. But I could never really bring myself to buy it. Mostly because before it got to the current price, it had a tendency to cost the ammounts of gold I deemed outright crushing for my average income. And finally, Two sigils of concentration (I'd say this one is the lowest priority due to circumstances and inability to currently utilize them in my tests, but I'd still be happy if I managed to get my hands on those for the future): Before my keyboar situation, I was semi-actively working on trying to come up with a viable (and perhaps even borderline optimal) support firebrand build. Numerous theorycrafts have led me to the conclusion that I need to have that 33% extra boon duration to optimize the stats at the cost of freed up concentration and push the build's boon support further. If you read the OP your allowed to ask for only 1 thing and if you asked in the old forum thread that counts as the one. Copper-Fed Salvage-o-Matic I don't have time to farm gold because of school cough. Anyways Merry Christmas in advance everyone! I am aware I can only ask for a single thing. I just don't recall seeing anywhere if it was allowed to ask for a single thing out of a certain list. Request fulfilled, Thanks for the kind person who gifted me! So in order to get my curious I would be extrememly grateful if anyone could donate towards this by either sending Curious or Elder Wood. I am on EU server. I've thought it over, and I'd like to get into Fractals. I've got some work to do on trinkets and an ascended off-hand, but it's the infusions for Agony Resistance that are going to be tougher for me. I'm asking for twelve (12) +9 Agony Resistance Infusions & eight (8) +7 Agony Resistance Infusions. Thanks for your help in this; I really appreciate it! UPDATE: Big thanks to you, Wintersday gifter! I didn't check to see if you wanted to be identified, so I'll leave you anon... I'm very grateful! I'm to casual player to acquire legendaries, but I think I have a chance with adorable and cute Antonina scepter. I really want the mini fawn and mini arctic fox but I dont think those come to purchase just from black lion keys and boxes. Unless there is another way to get them I would love to know about it. Happy Holidays All. Any little bit will help, Thank You! Ps. Extra thank you to A. I hope you have a wonderful Wintersday as well. Hi guys. I need 250 Cured Hardened Leather squares. Thanks in advance if anyone can help me out. I would be grateful. Someone gave me 50 of these already so I only need 200 now. Thank you very much to the person who sent me the 50. Comment in 5 different threads total to get member status that removes your comment edit time limitation. Come back and edit your ORIGINAL post with this message, not make an additional one. I would also like to make a non-item request: I haven’t played WvW or PvP gamemodes and have only completed the Asalonian Catacombs dungeon once. If someone would be kind enough to explain the easiest way to earn the required crafting items from these parts of the game, that would be extremely appreciated! I would like a winter's heart infusion, but the RNG gods don't want to give me one out of a winterday gift. i don't know what i need really xD been pretty worked up irl and i haven't played for a few weeks. now i'm in the middle of moving out again. move out twice within a month to 2 different states. lol. i know i need a lot of elder wood but everyone needs them too. so send me your trash and i'd happily store them in safe places and post the amount here. i'm working on my spvp wings. but i have prepared all mats for it. i just need the time gated matches. though with kitten internet right now. i dare not to enter to just throw off my team mates matches xd cuz i got booted out of client every few mins. i can't wait to move out and have good internet again. lol. edit: omg. thank you so much for 750 elder wood logs and 10 wintersday gifts.